My name is Freedom. 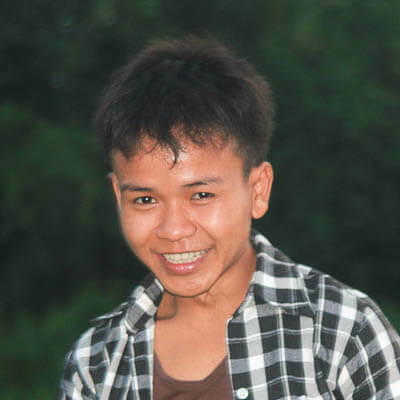 I was born in Kyun Mee Village, Hlaing Bwe Township, Karen State in southern Myanmar. I have five sibling—two brothers and three sisters. My parents are farmers. When I was two years old, there was constant fighting in our village between Karen armed groups and the Burmese military. In order to avoid being attacked by the military, we were forced to flee into the jungle. While taking refuge in the jungle, some of my neighbors and I were afflicted by malaria. Fortunately, we received treatment from the medical officers stationed in the jungle. However, one of my cousins and I were given the wrong injection, which affected the movement of our legs. Following this tragic incident, we were not able to walk anymore. Due to my physical condition, my parents thought I would be unable to work and earn a proper living when I was older. As a result, they tried to support my education as much as possible while my other siblings were only able to finish elementary school. I started school when I was seven. My mother took such good care of me that I was finally back to being a normal person, while my cousin ended up being handicapped. However, my life hit another drastic change when I finished grade 8. In 2008, the Myanmar economy was cut off from the rest of the world. In the same year, to make things worse, Cyclone Nargis caused the worst natural disaster in the recorded history of Myanmar. In the aftermath of the disastrous cyclone, many people became homeless and extremely poor. My family was no exception. Consequently, my parents could not support my education anymore, and they decided to send me to Mae La Refugee Camp in Thailand to stay with my uncle’s family and hopefully continue my education. Freedom is a very patriotic student. 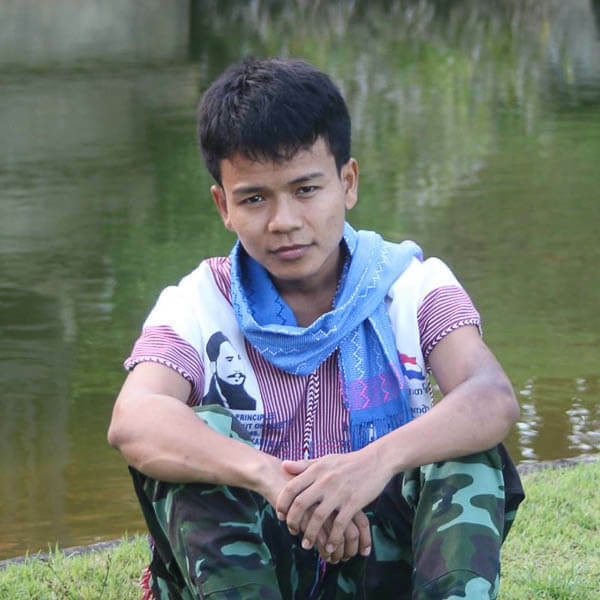 He always thinks about freedom for the Karen people. He is also the first member of his village to go to a university. He is honest and straightforward too. I settled into the refugee camp and studied very hard while participating actively in the Karen Student Network Group (KSNG). After staying with my uncle’s family for one year, they were resettled in the United States. 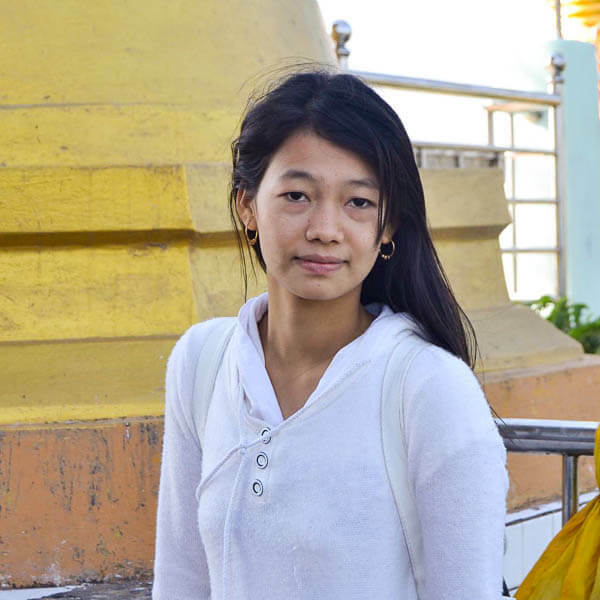 Following their departure, I moved to a Buddhist monastery to continue my education. In the 2010-2011 academic year, I finished high school and joined one of the post-ten schools called Anglican Language and Computer Centre. In 2012, I began going to Thoo Mweh Khee Senior College (TMKSC) to improve my English and prepare myself for a future career. During my time at TMKSC, where I was a member of the student council, I organized school activities and monthly student competitions such as debates, drawings, and poetry readings. In my final year, I conducted research on education and community development in Karen State. After graduation, I continued working for one year as a staff member at the school. At the same time, I taught part-time at a Thai school. While a lot of young people from the Thai-Myanmar border were only able to finish secondary education, I was selected to do a one-year GED program (General Education Development) at Minmahaw School in Mae Sot. Since the school has students from diverse ethnic backgrounds, we had a great learning environment exchanging valuable information from different cultures, traditions, and beliefs. After successfully completing the GED program, I worked with the Burmese Migrant Teachers’ Association (BMTA) as a Data and Office Assistant. Eventually, one of my dreams came true when I was offered a partial scholarship from Chiang Mai University (CMU) to study social science. However, since it is only a partial scholarship, I had to borrow money from my relatives to cover all the expenses. At CMU, I have studied a lot of interesting subjects including politics, economics, psychology and sociology. In addition to my schoolwork, I have been working with the Karen Education Department (KED), led by the Karen National Union (KNU). The organization works to preserve the culture, literacy, and identity of the Karen people. I have been serving as a data and monitoring assistant collecting information from schools under the administration of KED. When I accompanied KED staff members to monitor schools in Karen State, I witnessed the depressing educational reality of my Karen people. Since I possess the highest education qualification among the KED staff, the Karen leaders and other Karen people are very proud of having me. After finishing my program, I am firmly convinced that I will be able to make positive changes in Karen State. Finishing a degree in social science will undoubtedly benefit me, Karen State, and my Karen people as a whole. Written by Freedom with editing assistance from Zomia’s volunteer editors. Finishing this degree will enable me to save my family from poverty. Moreover, with the skills and knowledge I gain, I will be able to serve my community more effectively.